5/8" INTERNAL Index able Threading Tool Holder & Insert Kit ~ Style is SIR0625M16. ~ Insert is 16IR AG60. ~ Right hand external thread cut. 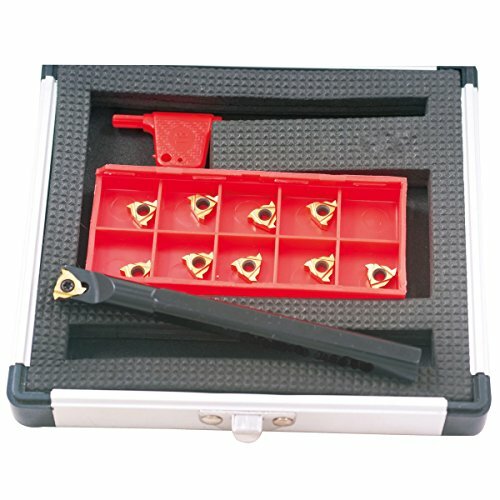 ~ Kit includes 1 tool Holder, 10-TiN coated carbide inserts & 1 torx wrench. ~ AG60 inserts ranges 0.5-3.00mm/8-48 TPI. ~ A60 inserts range is 0.5-1.5mm/16-48 TPI. ~ Complete with aluminum case. 5/8" INTERNAL Indexable Threading Tool Holder & Insert Kit!